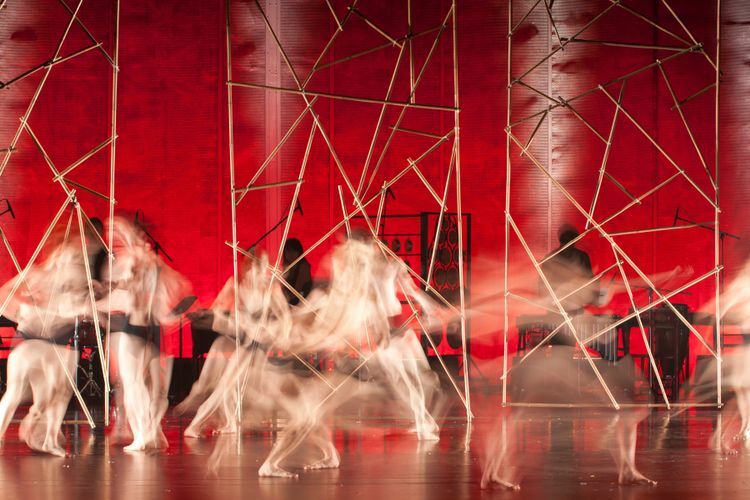 Step into a magical world where agile performers called the "kinnaree" – half-human half-bird creatures dance inside showcases and play with a whimsical plethora of movable art installations, called “follies”, for their sheer amusement. Transforming the iconic Fashion Gallery of the National Museum into a roosting place for migratory birds, The ARTS FISSION Company presents a site-specific contemporary dance choreographed to tickle the senses of the young and old. This intricate act with an environmental message, put on by both professional and child performers, is set against a backdrop of live music on dramatic soundscapes. The poetic performance invites the roaming visitors to contemplate on the loss of natural habitats and personal space due to rapid urban development. Amidst our increasingly crowded city, the performance gives the visitors a temporary sanctuary to re-discover the small wonders and beauty in everyday life.